4" to 18" stalks with maroon bracts having white tips. Leaves not prominent, alternating on lower portion of stalk. 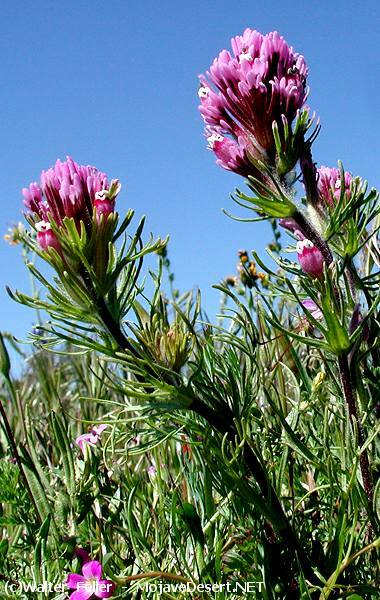 Found in Western Mojave Desert between 2,000 and 3,000 ft. Grasslands, creosote bush scrub and Joshua tree woodland. Grows often with gilia and other annuals. Grows in great profusion in wet years.